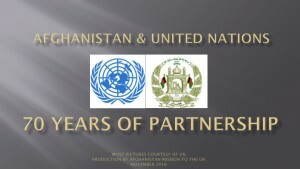 UN envoy: Afghanistan in 2009 â€“ A Turning Point? Two issues currently focus the international community’s perspective on Afghanistan: The upcoming Presidential and Provincial Council Elections on 20 August and the major military offensive started by coalition forces in the South following the military surge initiated by US President Obama. Both illustrate the complex situation in the country, where efforts to consolidate democratic institutions and driving forward an ambitious development agenda run parallel with military operations aimed at curbing a resilient insurgency. The 20 August elections, the second since the fall of the Taliban and the first Afghan run elections since the 1970s, are about more than choosing Afghanistan’s future government and political leadership. These elections are an important step in bolstering people’s confidence in the democratic process, in further strengthening the country’s democratic institutions and in providing legitimacy to its leadership. Electoral institutions have been built with impressive speed but the electoral process is still fragile in a country which is still in conflict. The UN has been working with the Afghans to ensure a level playing field, providing the basis for a credible and inclusive election process and a result acceptable to the Afghan people. I have called on all candidates to campaign with dignity and to avoid inflammatory language that could incite violence, reminding candidates of their shared responsibility for ensuring that these elections lead to a strengthening of democratically elected institutions. UNAMA also called on Government institutions and officials to avoid interference during all phases of the elections process, protecting the integrity of state institutions, in line with a Presidential decree prohibiting government interference. We have been monitoring this closely and addressed violations when they occurred. Finally, we have appealed to all voters and Afghan citizens – without exception – to take part in the process and to use the ballot, not the bullet, to express their political orientation. These are their elections first and foremost. The security situation has deteriorated and the number of security incidents has been rising sharply. This has led to an increase in the number of international forces, in particular from the United States. It is of critical importance that these military forces are adequately prepared for the Afghan cultural and political context and that civilian casualties are avoided. I welcome General McChrystal’s commitment to a fundamental shift in attitude, putting security for the population first. The international community must ensure that its current and future military engagement in the country is supported by the people of Afghanistan. Furthermore, the main focus should be to strengthen the Afghan National Army and the Afghan National Police. Recent decisions to increase the number of authorized army and police officers must now be implemented. This will require sustainable funding and training programmes, allowing Afghans to gradually take responsibility for their own security. Afghanistan in 2009, however, is much more than the election campaign and an intense fighting season. If managed well, the current situation offers significant opportunities and could become a turning point for development and aid coordination. Many promising and positive developments have gone largely unnoticed by the international community in recent months but require our sustained attention and support if we are to avoid backsliding. The new momentum shown by the government is impressive: we have seen progress in further strengthening security institutions, improving agricultural productivity, facilitating private sector development, increasing revenue collection and strengthening Afghan capacity and institutions. Key ministries are more professional, focused and better prepared to work with the international community. International donors, in turn, are beginning to understand the importance of working through the government instead of bypassing it. The Joint Co-ordination and Monitoring Board (JCMB) has recently been strengthened as the central platform for strategic coordination, joint policy formulation, problem solving and mutual accountability between the Government of Afghanistan and the international community. This positive momentum must be maintained and extended to other sectors of government after the elections to avoid stagnation and more disillusionment among the population. 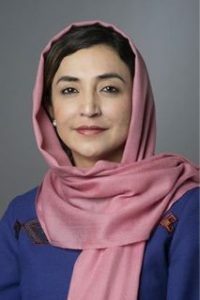 Soon after a new government has been inaugurated, the international community will have to identify ways in which it can assist an Afghan led process leading towards a national dialogue for peace and unity bringing all elements of the society respecting the Afghan constitution together in an inclusive manner, overcoming fragmentation. Secondly, sub-national governance and institution building at the provincial and district level must be strengthened considerably. It is at this level, where most Afghans get in contact with their government and services need to be delivered to the people. It is at this level, ultimately, where the future of Afghanistan will be decided. Thirdly, but related, we must redouble our efforts to build Afghan capacity for civil servants and administrators, both at the Kabul level and in provinces and districts across the country. Over the coming months, we will also have to build on initial progress achieved in the areas of regional cooperation and infrastructure development. The potential for regional cooperation goes way beyond the security sector. Trade, natural resources, energy and water management can bring Afghanistan and its neighbors together in a mutually beneficial way. Investment in key infrastructure programmes, including electricity lines and railway networks, could turn Afghanistan into a corridor for regional economic activities and provide the critical elements for Afghanistan’s own economic development. In those areas, we must be much more ambitious and broaden our perspective beyond the immediate geographical boundaries of Afghanistan itself. In the past, donor coordination and aid effectiveness have been regularly criticized in international circles and rightly so. But many are still conducting yesterday’s debate. Over the past few months, the situation has changed and we are seeing encouraging signs of an Afghan government better coordinated internally and an international community much more willing to work together under UN leadership. The United States has reviewed its development policies and shows greater readiness to support well prepared and focused Afghan government programmes. Donors must be fully committed to further align their funding behind priorities identified by the government, avoiding fragmentation of aid programmes and ensuring development and assistance are delivered across the board and throughout all provinces in Afghanistan. This year is a critical year for Afghanistan. While this has been said before and the security situation looks dire, the present circumstances also provide ample opportunities. The picture is more mixed than ever. If we build upon recent progress and manage the situation well, this year could indeed become a turning point for Afghanistan. With a reenergized government, more competent Afghan ministries, strengthened Afghan security institutions, a better coordinated international community, a clearer road map for the next five years and continued commitment by international donors, we have an opportunity to turn a corner. This article originally appeared in the Estonian newspaper “Postimees”.